2011/12 Sue Trump’s Kirkleigh and Ross Oliver’s Wee Fly 18 points each. Challenge Cup goes to Kirkleigh after greater number of wins taken into account. 2011/12 David Congdon’s Searree and Charlie Rush’s Indiana Bay 12 points each. 3 wins each – Challenge Cup shared. 2009/10 Dead heat between Ben Robarts Mioche D’estruval (Dulverton, May 15) and James Best Think On This (Mid Devon, Feb 13) both 25-1. 2017/18 The Western Morning News trophy for 2018 has been awarded jointly to Joe Tickle and Leanda Tickle. The brother and sister pair enjoyed many successes in the saddle in recent years, principally in the Devon &amp; Cornwall point-to-point area. As a young trainer with a small string, Joe is now sending out winners (all meticulously turned out) from his training base in mid Devon He trained Horwood Lad to win three times this season, progressing from Maiden to Intermediate races. Leanda recently announced her retirement from race riding after partnering the four- year-old filly Lily The Pink, trained by Joe Tickle for Exmoor based owner Paul Nicholas, to win the prestigious Irish Thoroughbred Marketing point-to-point bumper at Stratford in June. Leanda also helped to organise and co-ordinate the 2018 calendar which raised around £11,000 for the Injured Jockeys Fund. The pair have always been a great credit to point-to-point racing in the Devon &amp; Cornwall area and are worthy winners of the Western Morning News trophy. 2016/17 Stuart Sampson: Trainer Stuart Sampson achieved a memorable performance at the South Tetcott meeting at Upcott Cross on 29th May by saddling three winners from his small string. 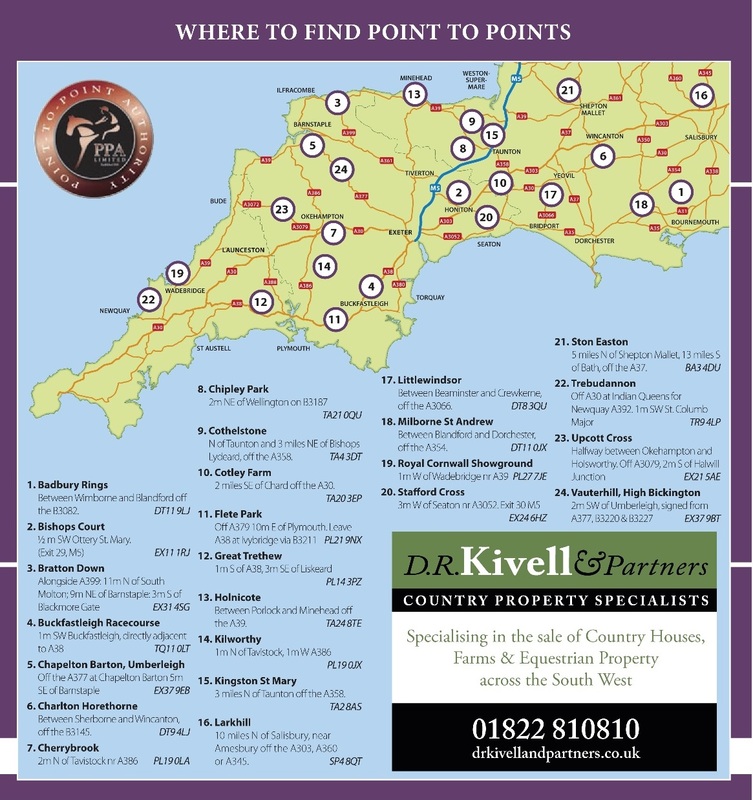 The horses he trained at Culmstock won a total of nine point-to-points in all this year in the Devon & Cornwall area, plus others outside the area..
2014/15 Ryan Chapman – Ryan and his family are the essence of a pointing family having supported the sport locally for generations. Ryan himself rode as a 16-year-old but had a long break to further his career as a farrier. He shed 5 stones in order to continue riding in point-to-points in the last couple of years. 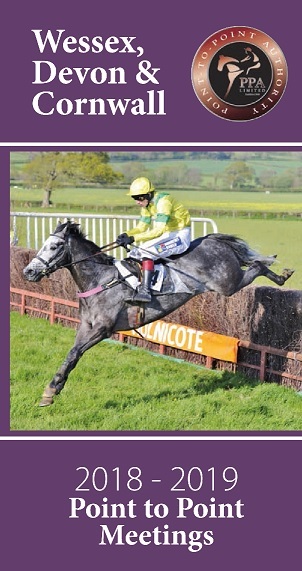 Riding pointers prepared by the family, and with only a handful of rides, he rode his first winner at Wadebridge in January, and rode a double on Easter Monday at his local Trebudannon track. 2013/14 Robert Chanin – Achieved a remarkable feat of sending out seven winners from his first eight runners of the season with four separate horses. 2012/13 Merv Woodward who has been around for years without much recognition. He was riding at his best this season. His 4 wins on Double Bank were outstanding.